CAN anything stop the SUV sales juggernaut powering through the Australian buying public? For many new car shoppers - from cool lifestyle Twentysomethings to families of all sizes to retirees, the default seems to be "must buy SUV because everyone else is," and car companies are flooding the market, quite understandably, with high-riders to tap in to the obsession. That leaves many very good passenger cars being somewhat ignored by shoppers, including one that was a real high point of 2015's new car launches: Skoda's new Fabia. 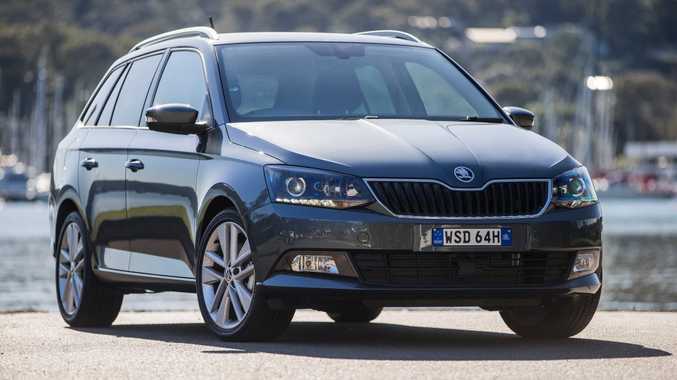 It's compelling enough in Hatch guise from $15,990 driveaway, but in wagon form (the only in the light car segment with this body style) from $17,490 driveaway, the all-new Fabia is quite the revelation. Of great help is the size of the Fabia Wagon. Say "light car" and we think of something Granny drives to crochet class twice weekly, but this is no Suzuki Celerio. Longer than a VW Golf and boasting a boot space of 505 litres (more than our best-selling mid-size SUV Mazda CX-5) it makes a decent stab at being a viable family car. Throw in cutting-edge infotainment, good standard safety features, a charming little turbo four-cylinder, competent chassis and solid build quality and the package is hard to ignore. We tested the entry-level Wagon variant with 66kW engine and five-speed manual, but an 81kW version with 7-speed DSG auto is the alternative. There is a marked price jump here though, this more powerful auto variant starting from $21,790 driveaway. As part of the VW Group, modern Skoda interiors don't feel too dissimilar to Volkswagen's own cabins, namely well-laid out and user-friendly. The budget Fabia may have a decent dose of hard plastics, but nothing feels cheap inside. It certainly rivals VW's Polo here. 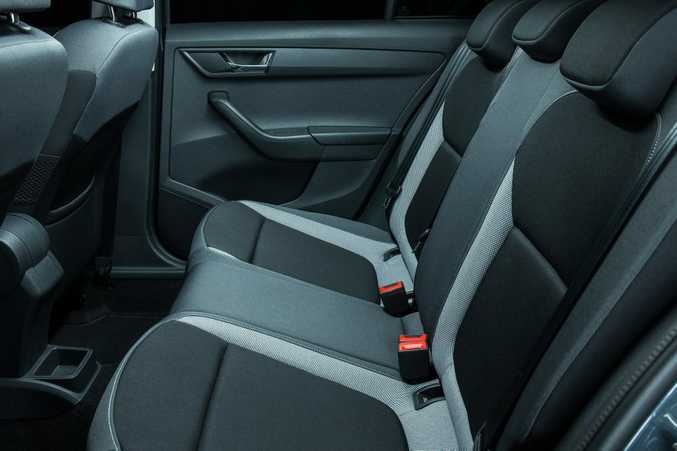 Fabric seats feel hard-wearing and proved nicely supportive on long drives. Decent driving position was easy to achieve and the leather steering wheel felt great in the hands. A 6.5-inch touchscreen with the bulk of your controls keeps the dashboard very tidy. The Fabia Wagon is still quite a skinny car so rear space isn't generous. Head room is fine but leg space is cramped if taller passengers are riding up front, and three adults across the back seat is pushing your luck. But two child seats? No problem. 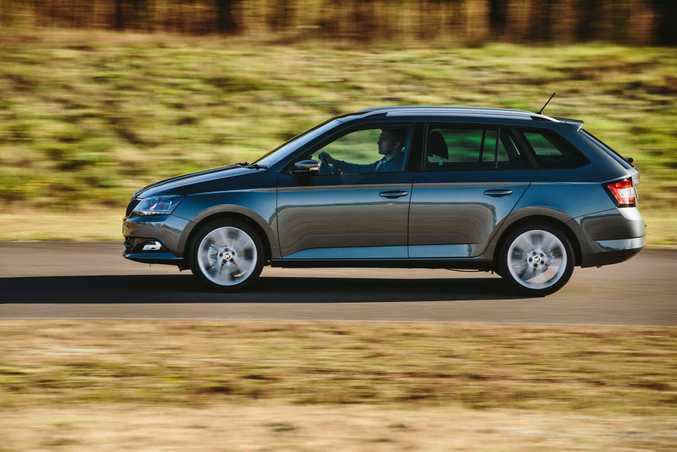 Hitting the bitumen, the Fabia Wagon again feels larger than its segment. Some light cars can seem out of their depth on highways (not least in buffeting winds or in the wake of a passing truck), but the Fabia felt solid and competent at speed. Performance is no problem either, despite a mere 66kW on offer. The punchy 1.2-litre turbo comes on boost at very low revs (peak torque arrives at just 1400rpm) so progress feels swift, and cruising at 110kmh you're seeing about 2400rpm. Not bad, but a sixth gear for the manual would be appreciated. The manual gearbox is a slick treat, and if you're not averse to a third pedal, there's really no need to move up to Fabia's auto version with the 81kW engine. Certainly the 66kW base model never feels like it needs more power in normal everyday use. Steering is light but reasonably communicative, and as found in nearly all VW Group's small products, the chassis balance is not only superb but also decent fun when you fancy a play. The boon - especially for younger buyers - is SmartLink smartphone connectivity as standard. 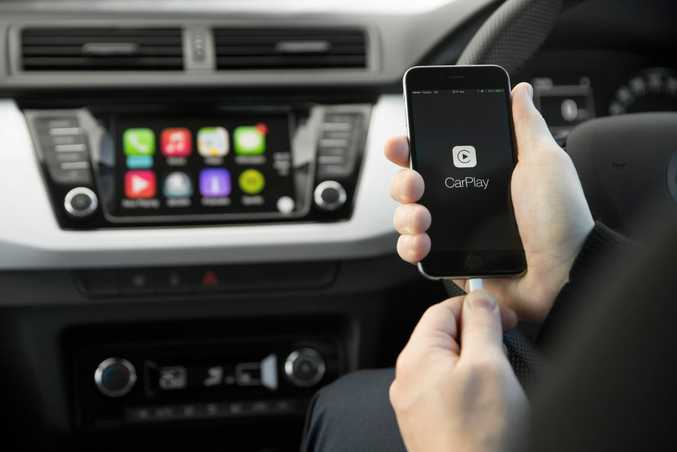 Here you get Apple CarPlay and Android Auto (still absent on many more pricey rivals), a 6.5-inch screen, plus the Arkamays surround sound system is a belter. Our test car featured a Travel Pack ($1300) bringing 16-inch alloys, cruise control and LED running lights. Another win is safety. 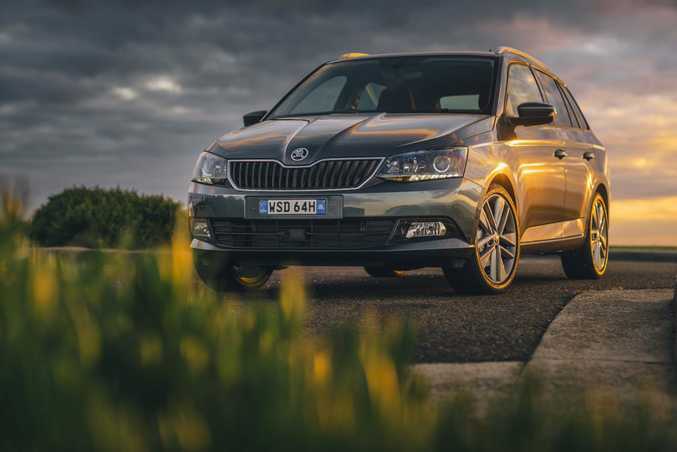 Fabia was awarded best in class in European testing, due in part to standard Front Assist and City Brake, which emergency stops the car automatically if a collision is imminent. Some may grumble a reversing camera isn't standard - or even optional - but the Fabia's rear park sensors with optical parking display does the job just fine in my eyes. Same with sat nav. 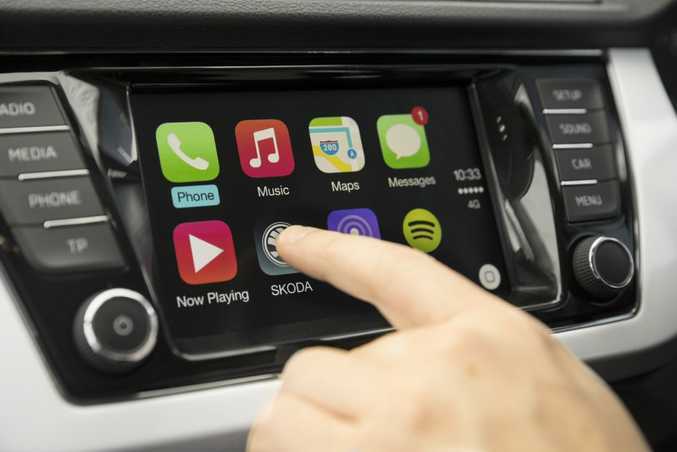 It's a $950 option, but why bother when your phone's free navigation app can be displayed on the car's screen? 2015 Skoda Fabia. Photo: Contributed. At 4.8-litres/100km the quoted economy is budget friendly, and our test drive returned 5.5-litres/100km. Excellent considering there were often four on board and the air conditioning blasting. The Fabia does drink costlier 95 octane however, being the pesky Euro it is. 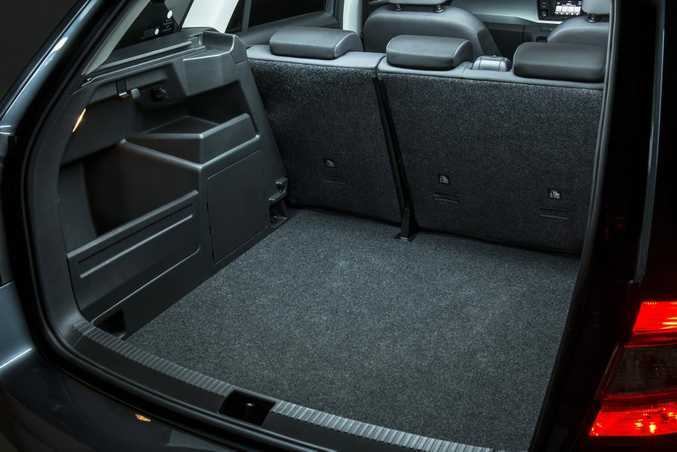 The mighty 505 litres of boot space (1370 litres seats down) is superb for a light car, while smart cabin storage compartments and an array of holders, hooks and nets in the boot are simply clever...just as the Skoda adverts attest. 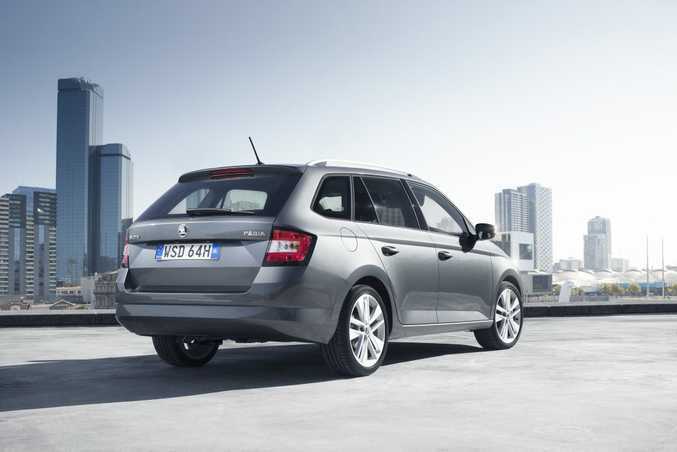 This new gen Fabia is both wider and lower than its predecessor, and although it looks somewhat underwheeled even on the Travel Pack's 16-inch alloys, the rest of the design in wagon form is modern, stylish and unfussy. Body design is conservative in its execution - something of a Skoda trait - but is subtly attractive in its plainness. The extended rear makes it look larger than the micro car segment it sits in, but sadly the wagon can't be optioned with the Fabia hatch's five optional Colour Concept combinations, which would have helped to up the funkiness. 2015 Skoda Fabia Wagon. Photo: Contributed. What a superb little package. The unique wagon back makes the new Fabia a must-try if you're shopping in the light car segment, not least because of practicality more common in the larger car segments. 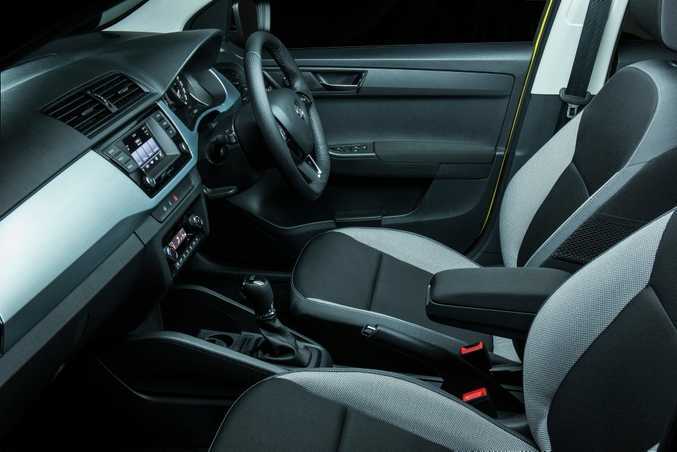 Stylish, good safety kit, loaded with the latest smartphone tech, fun enough to drive, economical and value that is hard to look past, the Fabia Wagon is a true hidden gem on our market. Are you sure you still want that SUV? 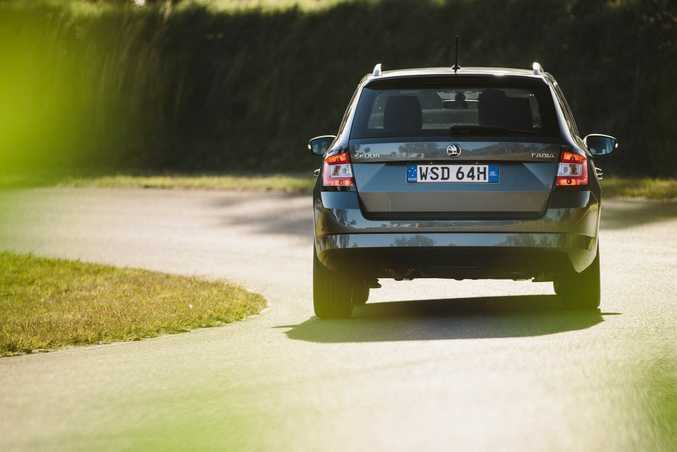 What we liked: Wagon practicality and Skoda clever touches, SmartLink connectivity, safety features, fun drive, outstanding value. What we'd like to see: A sixth gear for the manual, funkier colour combination options as seen with the Fabia hatch. Model: Skoda Fabia Wagon 66TSI. Details: Five-door front-wheel-drive light wagon. Engine: 1.2-litre four-cylinder turbo petrol generating 66kW @ 4400rpm and 160Nm @ 1400rpm. Bottom line (as tested): $19,290 driveaway, includes metallic paint ($500) and Travel Pack ($1300). 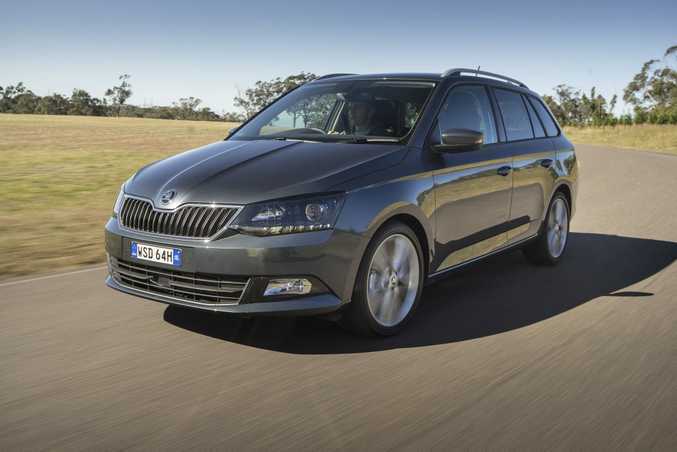 Fabia Wagons start from $17,490 driveaway.